Over the past few days, I’ve enjoyed the excellent and informative book The Complete History of the Return of the Living Dead by Christian Sellers and Gary Smart. It’s a guide to every film in the ROTLD series, and features production photographs, promotional materials, and interviews with the cast and crew of each film. 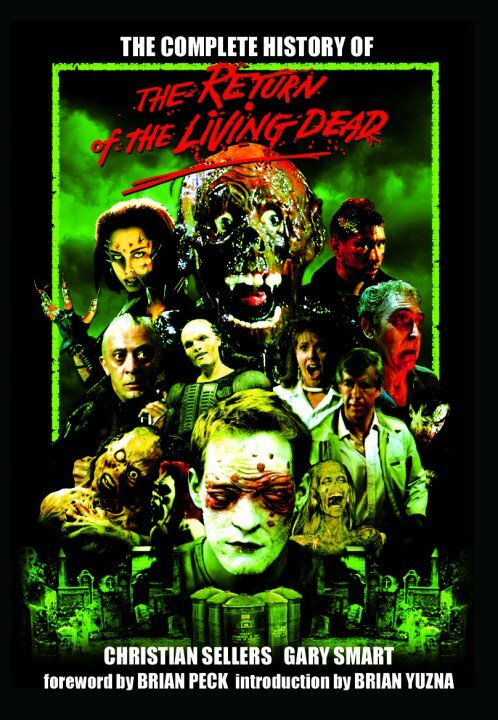 As I’ve remarked on several occasions– and repeatedly on this blog– Return of the Living Dead is my favorite zombie film of all time. It’s scary. It’s funny. It’s well-acted. The soundtrack is awesome. It has a rollicking sense of fun that’s just contagious. Its variations and innovations on the zombie (“braaaaains“) have proved endearing and enduring, and it remains a cult classic to this day. ROTLD was written and directed by Dan O’Bannon, who passed away in 2009. 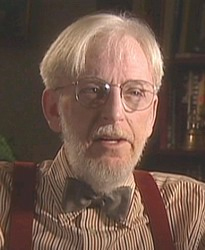 O’Bannon also wrote such notable films as Dark Star, Alien, and Total Recall. Throughout all the interviews with cast and crew, one constant that emerges is the profound effect O’Bannon had as the director of the production. Indeed, one begins to see the first half of the book (which exclusively chronicles the first film) as a testimonial to the positive impact a truly ingenious director can have. The book is filled with tales of O’Bannon coaxing an emotional performance from a reluctant actor, making an astute call about how an effects shot should come together, or correcting the production when it went off course. It is remarkable how many of the memorable aspects of ROTLD can be ascribed to the direct intercession of O’Bannon. 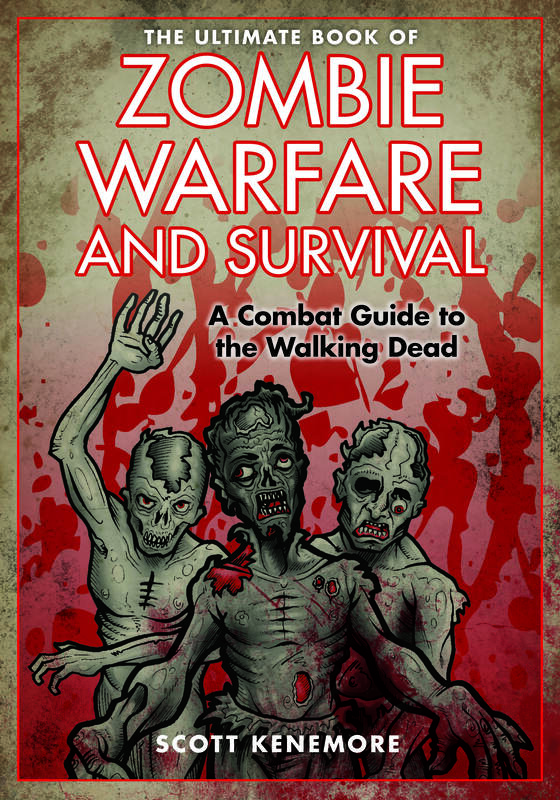 The second half of the book considers the sequels in the series: Return of the Living Dead Part II, Return of the Living Dead 3, Return of the Living Dead: Necropolis, and Return of the Living Dead: Rave from the Grave. Only a few actors from the original appear in any of the sequels, and they are– somewhat bafflingly– cast in different roles. For me, the second half of the book was a study in how hard it is to get a movie made, and how feelings can be hurt regarding casting decisions. For example, James Karen was cast in Return of the Living Dead Part II, but Don Calfa, who was also in the original, auditioned but was passed over in favor of another actor. Bad feelings, accordingly, seem to have emerged. Yet on a more positive note, it is impossible to read these accounts and fail to emerge with the impression that working on these films was anything other than an absolute joy. (A harrowing, exhausting, nerve-racking joy perhaps, but a joy nonetheless.) I was struck particularly by the accounts of actors from the first film who couldn’t get cast in the sequels, but who still inveigled off-camera FX and PA jobs on it, just so they could get to be a part of the film in some capacity. There is not enough James Karen or Clu Gulager. These are the two finest actors in the series by a lot, and the book should have been weighted to favor interviews with them. I would have appreciated hearing more about contemporary zombie filmmakers (and writers, and comic artists, and musicians) who have been influenced by ROTLD. The second half of the book feels almost apologetic, probably because the authors think everyone agrees–a priori–that the sequels were, at best, very inferior (and, at worst, should not have been made at all). I agree that ROTLD is head and shoulders (and brains) above the films that followed it, but I can still find much to appreciate in several of the sequels. I expect that many other zombie fans can too. Whether you enjoy ROTLD or– like Max Brooks– find it offensive to your undead sensibilities, the fact remains that it has emerged as an influential work with enduring aspects. It was the first film in which zombies requested “braaaaaaains” by name, and the iconic Tarman Zombie (who appears in the first and second films in the series) is one of the most recognized and reproduced zombies of all time. Love it or hate it, ROTLD is a phenomenon that deserves to be chronicled and considered. This new book is a nice step toward doing exactly that.